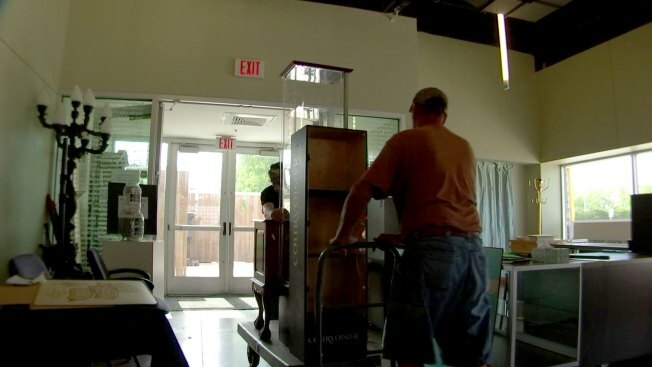 Volunteers at Irving’s Texas Musicians Museum have been working non-stop to help move music memorabilia spanning decades out of the building after the venue received notice to vacate by May 17. It’s part of a lease dispute between owner Thomas Kreason and the City of Irving. “The City of Irving’s lease with Texas Musicians Museum requires the TMM to make monthly rental payments," read a city statement. "The city has not received any payments in Lease Year 3, which began August 2017. The nonpayment of rent by TMM constitutes an event of default pursuant to the Lease. Therefore, the city is requiring TMM management to vacate the city-owned premises no later than May 17, 2018." Kreason admits he didn’t pay, but he says he did uphold another part of the lease that allows him to hold a specific number of events in lieu of payment. While the deal worked in years past, he says he was recently told this year’s events didn’t qualify. Now as he prepares to leave by his May 17 deadline, he’s found a silver lining. “We’ve had I don’t know how many people [call]… seven or eight. My wife says it’s one an hour of people wanting us to move to their city or their development where they’re doing something with music, [saying] we’ll take you,” said Kreason. Those offers have come from all over DFW, getting better and better with each call. “One guy offered us a really nice space, free rent, you can stay there however long you want,” said Kreason. For now, he’s weighing his options. Irving isn't the museum's first home and Kreason says it won't be the last. “It just seems this is our path. This is where we go. No matter what happens to us we always seem to land on our feet and it’s a pretty great feeling that we can do something bigger and better," said Kreason.